You don’t have to be Italian to enjoy Festa Italiana; you just have to love the Italian spirit that brings together family and friends to enjoy great music, food, and fun all weekend long. Open your e-magazine now to learn more about Festa Italiana. Inspiration & Worship: What is Character? 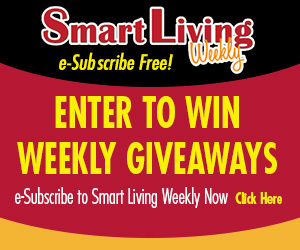 Congratulations to Layla Brennan of Rockford, this week’s Smart Living Weekly giveaway winner! Jean takes home 2 Tickets to Magic Waters, in Rockford. Next week’s giveaway is 2 Tickets to Magic Waters, in Rockford. Enter now by visiting northwestquarterly.com/contest. This entry was posted on Wednesday, July 26th, 2017 at 5:00 am	and is filed under News & Events, Smart Living Weekly. You can follow any responses to this entry through the RSS 2.0 feed. Both comments and pings are currently closed.